When I was invited by the lovely @MummyBarrow to the #SageBloggerDay event in Chiswick, I couldn't say no, that would have been like kicking Heston in the nads and I would never do that, I love that man. Obviously Hest himself wasn't there but it's his brand and so I jumped at the chance to get involved. I went along to the event not expecting any sort of product in return, I was just there to play with the kitchen toys and eat waffles. If you've not seen the waffle maker or Mummy Barrow's review of it read here.... *disclosure* Don't read when hungry or when in charge of your credit card, it may result in your belly purchasing the Waffle Maker in question without you knowing. Buuuuut Sage kindly gave us one of their awesome Tea Makers which was the birth of #SageTeaClub. I was like a child at Christmas. My mum is the queen of Tea, she is very, very, jealous. I grew up in Yorkshire and so by choice we tend to just drink Yorkshire Tea, my dad however is more of a Tetley man which is OK, I suppose, each to their own. So, as you can see, for me a really good cuppa is key to keeping the 'rents happy when they come to visit. This tea maker is going to do just that. 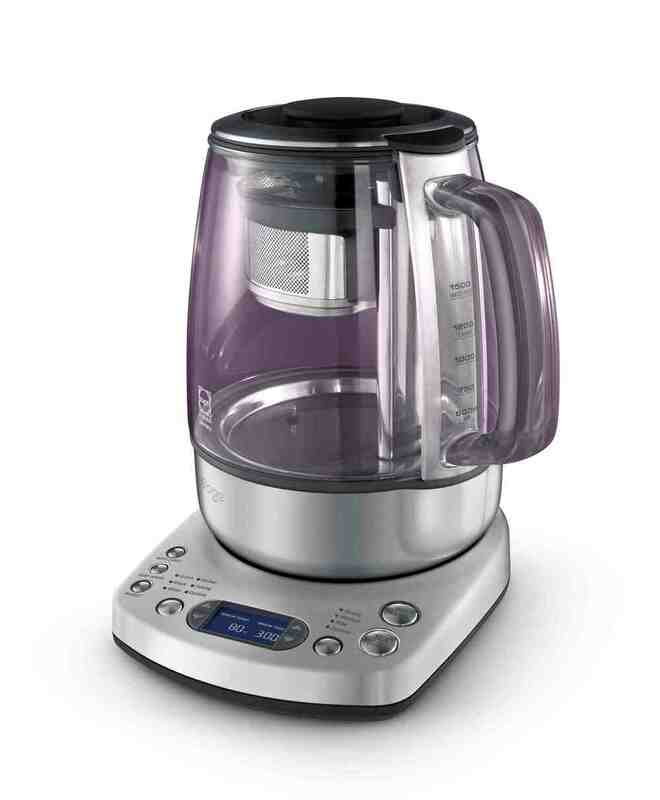 Below is a video of Kyd showing how easy the Tea Maker is to use. Independence is a huge deal to Kyd and to me as a parent of a special needs child. Independence is what I think is most important as he grows up. The ability to live a 'normal' and independent life is the best skill that any parent can offer. It is like giving them the gift of life all over again. It can take a while and a lot of patience but the results are worth the wait. This Sage Tea Maker makes being a host much easier. Kyd likes to make the tea but he struggles with getting the teabag out of the cup without splashing boiling water all over himself... with this little gem, he doesn't have to, making it easier for me to leave him to it, whilst I supervise of course. Plus it makes the perfect cuppa every time and you can even turn the temperature down so it doesn't quite get to boiling. As you can see this is a very sleek machine. It looks good, fitting into most modern kitchens and it is very simple to use too. With a simple display unit and easy to read buttons, you really can have the perfect tea at the touch of a button, whether it be green, black, weak, strong, herbal or Oolong, the choice is completely yours. You can custom build your tea too, changing the Brew temperature and Brew time to however you like it. The machine works with tea leaves, easily purchased from supermarkets or specialists stores. You place the tea leaves in the basket, usually 1 teaspoon per cup, and press the button.... then watch the magic happen. The water boils or reaches the custom temperature setting, then the basket containing the leaves is lowered into the water automatically for brewing. Once brewed the basket returns to the top automatically to prevent stewing. If you wish to take the basket out of the tea whilst it is brewing you can by just pressing the basket button, which will release the basket and bring it back to the top. Once the beep sounds to tell you it is ready, it will start a timer letting you know when the tea was brewed. If you have some left in the pot, worry not, it won't go to waste as the 'Keep Warm' button will do just that, keep it warm. Meaning you can come back for a second cuppa without having to start again. Oh and probably the best feature on the machine... AUTO START! It can be set so that you wake up to the perfect hot cuppa every morning without even opening your eyes! What is not to like about that?! We love it, it is easy to use and clean and simple enough for Kyd to use too, so perfect for independence training. It is an expensive piece of kit however and so it is for the Tea Drinking Kings and Queens of this world. It is definitely a statement piece in your kitchen and works really well if you have the girls round for a cuppa after the school run, as it gives you plenty of time to chat whilst it brews. Oh and having a cuppa ready for you in the morning is like winning the lottery!